There are 7 Memory Care Facilities in the Tequesta area, with 1 in Tequesta and 6 nearby. The average cost of memory care in Tequesta is $2,750 per month. This is lower than the national median of $4,650. To help you with your search, browse the 2 reviews below for memory care facilities in Tequesta. On average, consumers rate memory care in Tequesta 4.0 out of 5 stars. Better rated regions include West Palm Beach with an average rating of 4.7 out of 5 stars. Caring.com has helped thousands of families find high-quality senior care. To speak with one of our Family Advisors about memory care options and costs in Tequesta, call (855) 863-8283. The population of Tequesta is 6,094 with 1,275 (or 28.8 percent) aged 65 years or older. Of the 1.4 million residents of Palm Beach County, an estimated 50,239 are living with Alzheimer's disease or another form of cognitive impairment. There are 11 memory care facilities available, with one in Tequesta, and 10 in the neighboring communities of Jupiter, Palm Beach, Palm Beach Gardens and other localities. By regulation, company owners must receive an extended congregate care license from the state prior to becoming a memory care facility in Florida. The cost of living index for Tequesta is 142.9, much higher than the national average of 100, driven by healthcare costs. Seniors and their families can expect to pay more for medical attention in Tequesta than in many other cities in the U.S. The average summertime high temperature in Tequesta is 91 degrees, and winter lows are in the mid-50s. The annual rainfall average is 59 inches, which is 20 inches more than the national average of 39. There are 230 sunny days per year, as opposed to the U.S. average of 205. The Sperling's Comfort Index for Tequesta is 87 out of a possible 100. This mild weather is suitable for elderly folks with arthritis-related joint pain. Criminal activity is rated on a scale of one to 100, with one being the lowest and 100 being the greatest amount of crime. Tequesta has a very low violent crime rate of 12.0 while the U.S. average is 31.1. The property crime rate of 24.6 is lower than the national average of 38.1. Despite the low crime rates, families can rest easy knowing loved one in memory care facilities enjoy an added level of security. 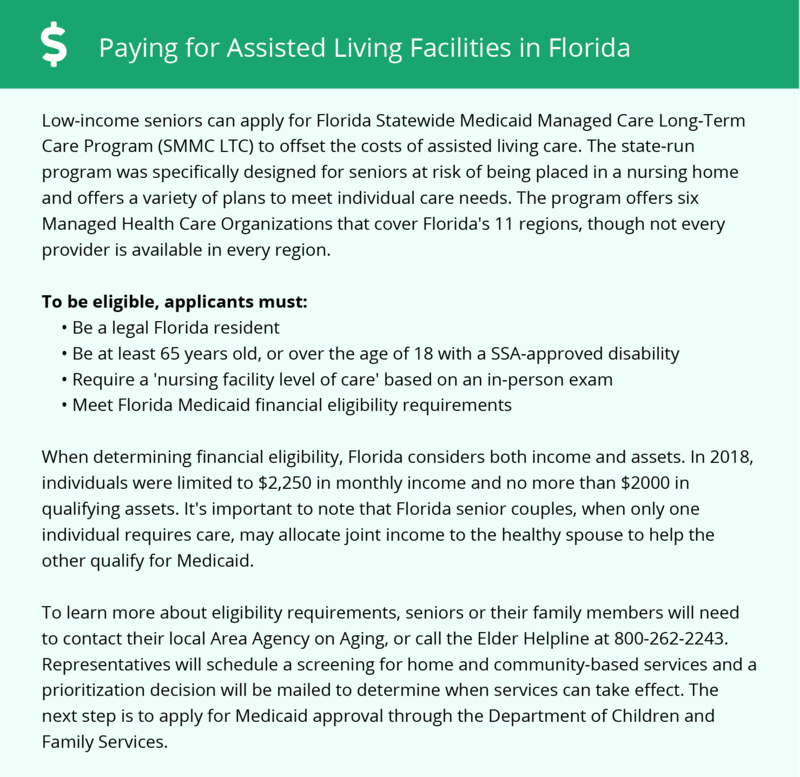 Because Florida does not have a state income tax, families and their elderly loved ones on a fixed income should have more money for daily needs and memory care treatment if required. Memory Care costs in Tequesta start around $2,750 per month on average, while the nationwide average cost of memory care is $4,799 per month. It’s important to note that memory care rates in Tequesta and the surrounding suburbs can vary widely based on factors such as location, the level of care needed, apartment size and the types of amenities offered at each community. Tequesta and the surrounding area are home to numerous government agencies and non-profit organizations offering help for seniors searching for or currently residing in an assisted living community. These organizations can also provide assistance in a number of other eldercare services such as geriatric care management, elder law advice, estate planning, finding home care and health and wellness programs. To see a list of free memory care resources in Tequesta, please visit our Assisted Living in Florida page. Tequesta-area assisted living communities must adhere to the comprehensive set of state laws and regulations that all assisted living communities in Florida are required to follow. Visit our Memory Care in Florida page for more information about these laws.